Alan Pardew has challenged Newcastle United to stoke the passion of their fans and keep the season alive by chasing down Manchester United. The Magpies host Tottenham Hotspur at St James’ Park tomorrow mired in mid-table. They are ten points behind the last guaranteed European spot, held by Spurs, ten above tenth-placed Swansea City, and out of both cups. But Pardew dismisses suggestions they have nothing left to play for, and has set them an initial target of making up the four-point gap to the Red Devils, floundering in seventh. With Fabricio Coloccini expected back for the following home game, he believes it can be done. “People say we have no incentive, but we have a professional incentive and I don’t like to hear it,” he said. “It irritates me as manager of Newcastle. “When we finished fifth that season (2011-12) what was the incentive then? Was it Champions League? There was a point in that season in January, February when everyone had written us off saying the season was over blah, blah, blah. “Then we went on that amazing run, and I’m not saying we’re going to do that again, but at the minute it’s a little bit premature. We have to stoke the fans’ passions with results. When we’ve got all our players available, we’re a tough nut to crack and we’ve proved that against Man U, Chelsea, Tottenham this year, Aston Villa and the away games we’ve won. Pardew was at pains to point out his talk of chasing down the Red Devils was not an attempt to add to the pressure on their manager, David Moyes. 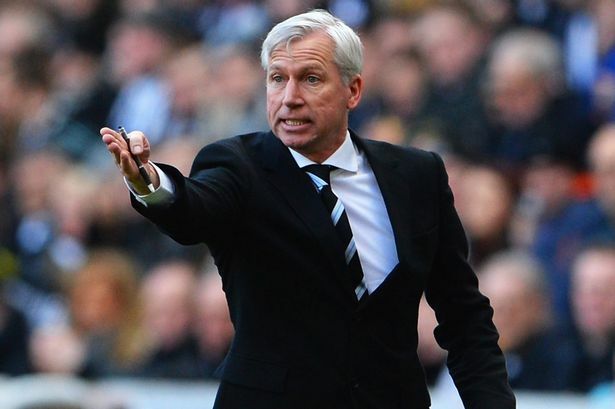 On top of the suspended Loic Remy, Pardew is without a host of injured players for tomorrow’s game. Coloccini, Gabriel Obertan, Ryan Taylor (all knee injuries), Cheick Tiote (hamstring), Yoan Gouffran (muscle), Papiss Cisse (back) and Gael Bigirimana (ankle) missed Saturday’s 3-0 defeat at Chelsea. Mathieu Debuchy injured his calf early in that game and will not face Spurs. 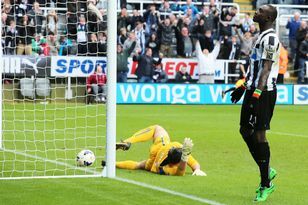 Pardew is hoping Cisse might, but was unsure of Gouffran’s fitness. Coloccini has been pencilled in to return on 23 February. Pardew said: “I think he’ll be available for the Villa game. “Fingers crossed we’ll have him available. We have a 90-minute game and a week’s training to get through before then. Looking at the games we have ahead, we have to get what we can from Tottenham with the team available. Then the Aston Villa game is on the horizon. The Magpies have no plans to replace under-21 coach Willie Donachie – who resigned last week amid allegations he hit defender Remie Streete – until the summer. Meanwhile, the club are in talks over a long-term contract for striker Adam Armstrong. The 17-year-old is yet to make his Premier League debut, but has been an unused substitute for the last two games. “I think he’s got a part to play somewhere along the line – he’s somebody we have high hopes for,” said Pardew.